Whether it’s the corner of the sofa or an antique armoire, cats love to scratch up furniture from time to time. Cat owners want to know what they can do to stop this troublesome behavior and prevent it from destroying their home. Is there a way to get cats to keep their claws to themselves and away from the furniture items? There has to be a way to learn how to stop a cat from scratching furniture. The good news is that there is a way to keep your cat’s claws from ruining all of the furniture in your home. You can keep your sofa in shape with a few of these helpful tips to curb bad behavior! Have you ever wondered what motivates your furry feline to scratch up the furniture? Many cat owners believe that it is simply a behavioral issue that needs to be corrected. However, there are actual biological reasons why your cat loves to sink his claws into the couch. 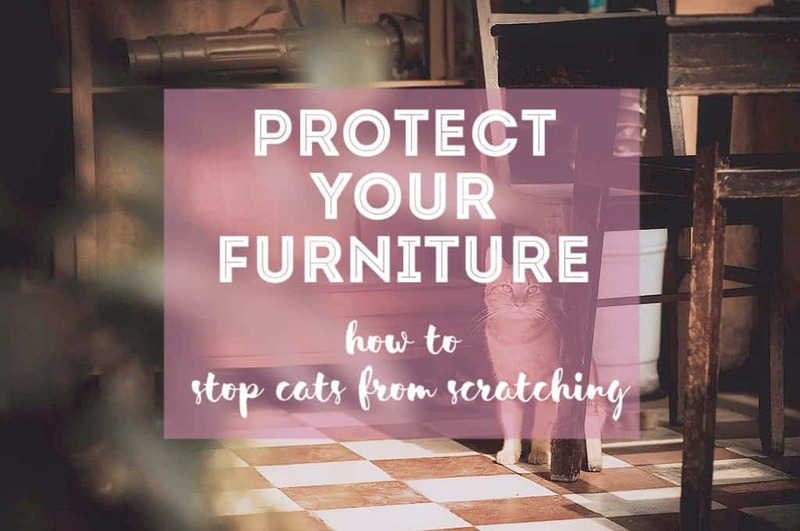 Understanding what influences your kitty to scratch things might help you to provide better solutions that can get them to stop clawing up your furniture. Cats are very territorial creatures and marking furniture is one way of expressing that. They can leave both a visual reminder that this is their territory, as well as mark the area with their scent. They have a special scent gland on their paw that transfers their unique scent onto the furniture whenever they scratch at it! While this is the most common reason that cats will scratch furniture, there are a couple others as well. For example, your cat may want to stretch their body out and flex their feet. Scratching gives them a unique and much-needed workout that removes the dead outer layer of their claws. It feels good for them to work out and flex this part of their body. Scratching furniture also provides a way for them to work off a lot of excess energy. Cats who have lots of energy may struggle with furniture scratching more than others. 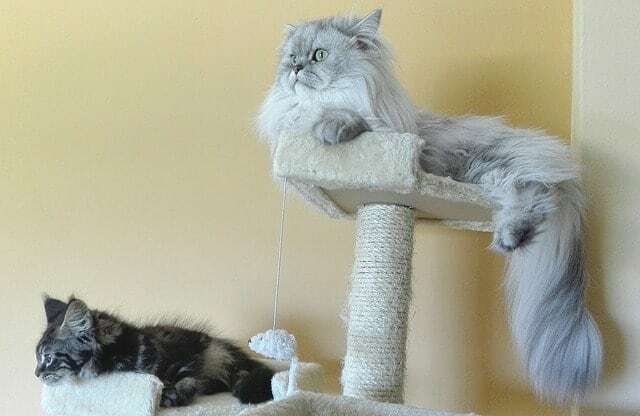 These kitties need an excellent outlet for all of their excess energy to keep them away from the furniture and focused on more productive things. As you can see, cats scratch up the furniture for a number of reasons. You have to understand why they do it in order to provide a solution. Now, you’re ready to learn how to stop a cat from scratching furniture! The simplest method for how to stop a cat from scratching furniture is to provide an alternative for them to play with. Your cat needs toys and an outlet for their desire to scratch that you will both find acceptable. Take a quick look around your home to see which furniture items your cat is scratching the most. This will give you a bit of insight into what will seem most appealing to your cat. There are lots of different types of scratching posts and toys available for cats to play with. Each of these has unique properties that could appeal to your cat. For example, a rope-wrapped post is tough to scratch while a carpeted cat tree is relatively soft and comfortable. 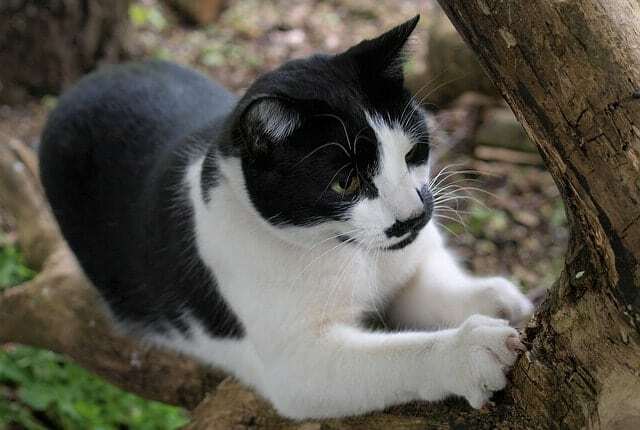 A kitten who scratches up wooden furniture could probably benefit most from wooden cat furniture made of cedar or pine. Once you have provided an alternative for your cat, you also need to make your current furniture unappealing. 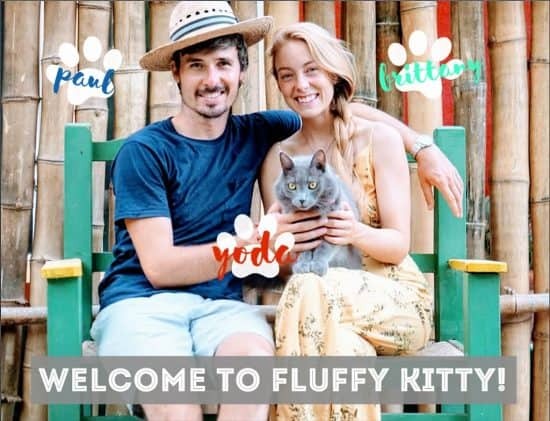 Identify all of the spots that your cat loves to scratch and get to work making them less attractive as playthings for your kitten. You can do this in a number of ways depending on what type of furniture your cat is scratching. First, many cat owners have success with herbal sprays that are unpleasant for your cat to be around. These should leave no residue or film on your furniture, and you will be unable to smell them most of the time. This tactic disrupts the territorial scent that your cat left on the furniture in this area and keeps him from wanting to come back. Alternatively, you could place these motion detector deterrent sprays near the furniture to keep them away from it altogether. Next, you could try to make your furniture unappealing to scratch by covering it. This does cause you to make some aesthetic changes to your home which can be unappealing to many pet owners. However, it is highly effective and may only be necessary for a short period of time while you are training your cat. You can use double-sided cat training tape to cover the affected area or a vinyl furniture guard to keep their claws out of the sofa. If you don’t have time to go out to the store in search of these products, you can also protect your furniture with items found around the home. You will need to cover the affected area with aluminum foil to make the texture unappealing to your cat. Sandpaper will also work if you have no aluminum foil handy. Soak the cotton balls in the strong perfume and attach to the aluminum foil or sandpaper. The combination of the two things will help to deter your cat from scratching in this area any longer. It doesn’t have to be difficult to learn how to stop a cat from scratching furniture. The best way to stop this troublesome behavior is to provide them with an alternative and eliminate their favorite haunts. Using basic tools that you have on hand, you can start to create a better environment for scratch-free furniture almost immediately! Cat Throwing up Clear Liquid: Why and What to Do?